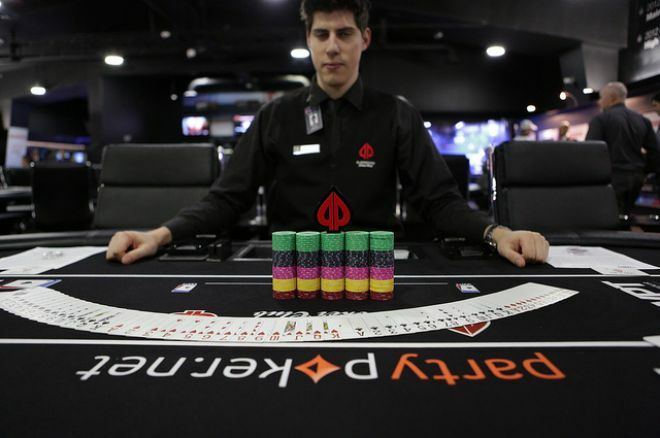 For the third straight day, the Playground Poker Club was buzzing as the final starting flight got to action in the 2013 partypoker World Poker Tour Montreal Main Event. At the close of registration, 339 entries were added to the field, bringing the total up to 862. While the entry numbers are down from last year's WPT Montreal that attracted 1,173 for the Main Event, they are up from the WPT Canadian Spring Championship that was held back in May and drew 735 entries. Following Day 1c's 10 levels of play, Sylvain Siebert led the way. He bagged up 230,500 in chips, but still fell short of Day 1a's chip leader Sebastien Drolet-Poitras. Drolet-Poitras will be the overall leader heading into Day 2 as he bagged up 270,800. Plenty of notable faces were in the field on Sunday, some returning after previously busting out of the event. Of those who were eliminated during Day 1c were Trishelle Cannatella, Peter Jetten, Andy Frankenberger, Jared Jaffee, Liv Boeree, and Justin Zaki. Zaki, whose best WPT finish came in April 2011 when he took third in the $10,000 Seminole Hard Rock Showdown Championship Event for $415,680, was eliminated during Level 10 with the blinds at 500/1,000/100. According to Twitter, Zaki reraised all in with but ran into his opponent's to bust. Christian Harder was also eliminated, falling much earlier than Zaki in Level 4 with the blinds at 100/200/25. According to the WPT live updates, Harder was all in for his last 18,700 with the , but ran into Michael Spano's . The board ran out and Harder's tournament was done. On the flip side of the coin, there were bunches of familiar faces that advanced from the final starting flight. Shannon Shorr, Scott Baumstein, Jason Koon, Govert Metaal, Aaron Massey, Will "The Thrill" Failla, and Tyler Kenney were some of those that moved on. Day 2 will begin Monday at 12 p.m. local time, and you can stay tuned right here to PokerNews for all daily recaps from the 2013 WPT Montreal.